Day of enrolment in the Army. Back from field experience as a trained medic. Simulation instructor in the Trauma Section. Administrator of the Trauma Section. Last days of army service. Day of release from the army. Back from period of voluntary work in a Nepalese village. First short haircut, just before moving out of home into new apartment. About to commence second year of studying Medicine. 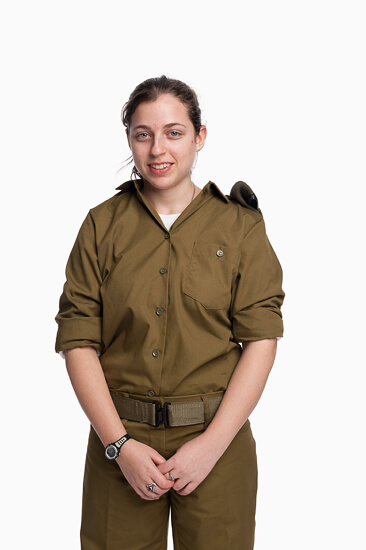 After leaving high school, my eldest daughter, Meitar, began compulsory military service, like most Israeli 18 year olds. After two years of service in the Medical Corps she began a period of temporary work and travelling, before commencing full-time academic studies. I was intrigued to see how this period of intense change in Meitar’s life would leave its mark, so I would take her portrait, whenever she returned from the army, and before or after her journeys abroad.